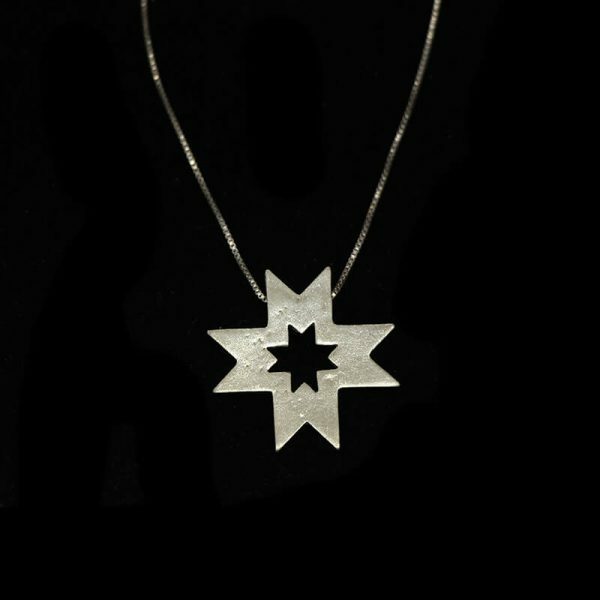 This beautiful pendant is part of a beautiful sterling silver collection designed by Janette Al-Ama. 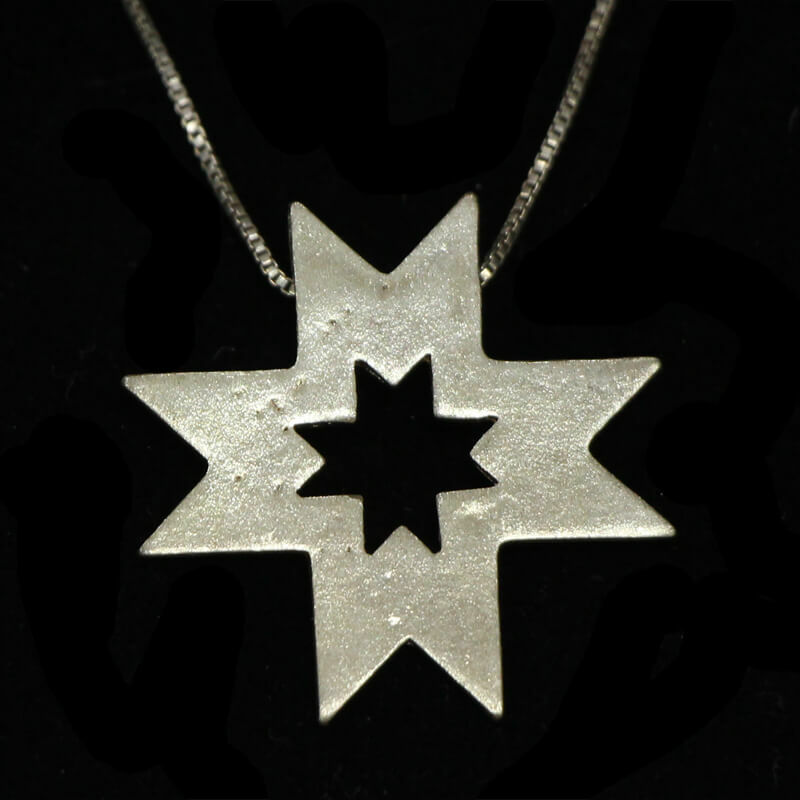 Her handcrafted jewelry draws on Scripture as well as the history and biodiversity of the Holy Land. 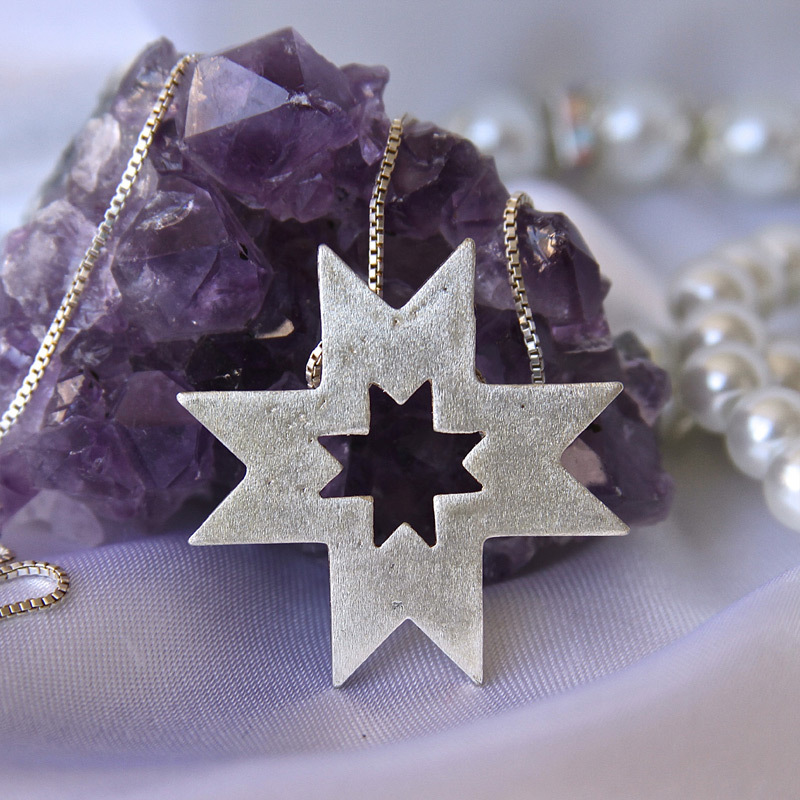 The star at the heart of the crosses recalls the magi who journeyed to Bethlehem to worship the Christ Child. The cross itself is the ultimate symbol of Christian faith, communicating the sacrificial love of God. The cross Jesus died on was an instrument of torture used by the Roman Empire occupying the first-century Holy Land. According to the New Testament, Jesus’ death and resurrection made it possible for us to receive forgiveness of our sins and reconciliation with God (Romans 5:8). The cross is thus transformed into a symbol of life and love.